What Is Miles For Gold? Miles For Gold encourages people of all ages and abilities to run, walk or ride their bike to raise money for pediatric cancer research. Whether you are an avid marathon runner that participates in ten races a year or someone who just enjoys walking their dog or riding their bike for leisure, you can raise much needed funds for pediatric cancer research just by doing what you love! Participating in Miles For Gold is incredibly easy! 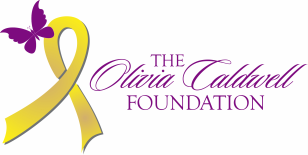 The Olivia Caldwell Foundation will provide you with a personalized campaign site with an easy to share link, a personal login to add updates to your site, and all the personalized marketing materials you will need at no cost to you. You will simply share your journey and ask your friends, family and/or businesses to donate using your personal site. Whether your goal is big or small you will make a HUGE impact! You can participate in Miles For Gold no matter where you live! To get started, simply click on the Miles For Gold logo below and sign up as a "Fundraiser" through the Miles For Gold campaign site. If you have any trouble or would like additional information, contact the Olivia Caldwell Foundation by email. Decide if you want to raise money as a part of a team or individually. Set a goal for how many miles you want to run, walk or bike and a goal for how much money you would like to raise. Then start asking your friends, family and local businesses to donate on your behalf. All money raised will benefit pediatric cancer research to help find a cure for this horrible disease! If you don't run and want to support one of our "Miles For Gold" individuals or teams just click on the team photo below to be taken directly to their fundraising site to make a donation. Thank you for your support!